An impeller is a rotating component of a centrifugal pump which transfers energy from the motor that drives the pump to the fluid being pumped by accelerating the fluid outwards from the center of rotation. The velocity achieved by the impeller transfers into pressure when the outward movement of the fluid is confined by the pump casing. Impellers are usually short cylinders with an open inlet (called an eye) to accept incoming fluid, vanes to push the fluid radially, and a splined, keyed, or threaded bore to accept a drive-shaft. The impeller made out of cast stainless steel in many cases may be called rotor, also. It is cheaper to cast the radial impeller right in the support it is fitted on, which is put in motion by the gearbox from an electric motor, combustion engine or by steam driven turbine. The rotor usually names both the spindle and the impeller when they are mounted by bolts. Why Stainless Steel Casting for Impeller? The base alloy elements of any nickel-base or stainless steel casting are chromium, nickel, and molybdenum (or “moly”). These three components will determine the casting’s grain structure and mechanical prosperities, and will be instrumental in the casting’s ability to combat heat and/or corrosion. Stainless steel has a minimum chromium content of 10.5%, making it more resistant to corrosive liquid environments and to oxidation. However, this is not an absolute. Stainless steel investment castings are “corrosion-resistant” when used in liquid environments and vapors below 1200°F (650°C) and “heat-resistant” when used above this temperature. There are differences between wrought and cast stainless steel. This is due to their chemical composition and their micro-grain structure, which is affected by how the material is produced, cast or extruded These factors must be taken into consideration when choosing an alloy for your stainless steel casting metal project. 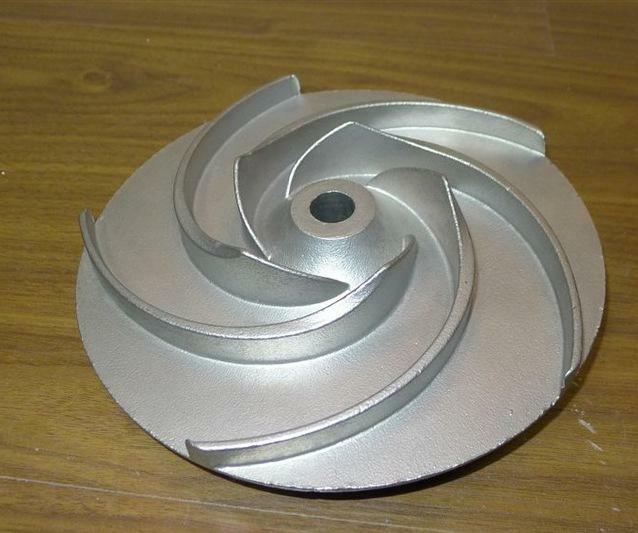 Stainless steel impellers are made as “investment castings”. These are created using a silica sol investment casting process that results in a significantly improved surface and part quality than the more common die-cast process or the sand-cast process most frequently used for bronze casting. The end results are greater efficiency, consistency between impellers, greater durability and more sustainable hydraulic performance. When operated in accordance with manufacturer’s instructions, neither material is more likely than the other to form cracks or experience a reduction in expected operating life. The stainless steel material is more robust overall however, and is likely to have a longer expected operating life in most situations. Stainless steel offers improved surface characteristics leading to improved sustainable hydraulic performance and energy efficiency, improved chemical resistance / application flexibility, reduced corrosion or degradation potential, and reduced maintenance cost. There might be extreme applications with very high chemical concentrations where stainless steel is not appropriate, but to date we have not been presented with one where it would have also been possible to apply a pump. 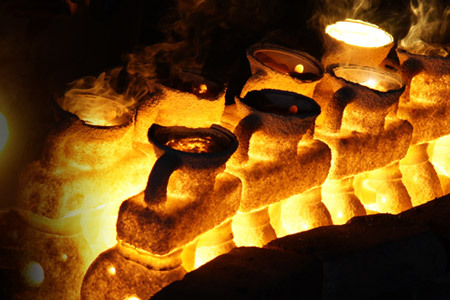 CFS foundry produces high-quality, durable stainless steel investment castings for impellers. We have over 20 years of experience casting pump & valve components, and our lost wax casting process allow us to produce impellers as precise as possible . We cast impellers for liquid and air processing industries including pipelines, medical, food processing, waste management, and pressure vessels. Since stainless steel is known for its mechanical properties, our engineer recommends this material for impellers. We typically recommend 316 stainless steel because of its high corrosion resistance and great machinability.We know that each application is unique, so contact us to speak with an expert and find a best solution for your impeller project. If you need any valve castings or pump castings in stainless steel, pls send us the drawings with material and weight, you will enjoy great price advantage for stainless steel casting service in China.